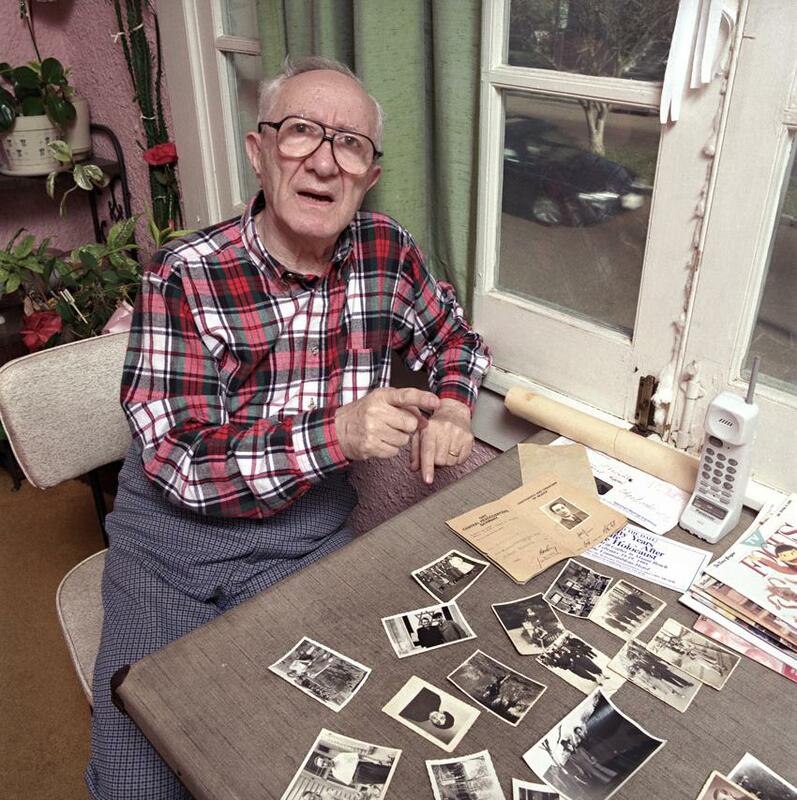 Holocaust Survivors: Photo Gallery - "Joseph Sher"
Joseph Sher sits in his front room with his family photographs spread out on a card table. He is one of the minority of Holocaust survivors who have family photographs from before the war. He recovered these photographs from the courtyard of his apartment house, where they had been thrown in a trash heap. Mr. Sher said that he would not be able to remember what his family members looked like without these photographs.